Morton Book A Dud Or Scientology Stunt? 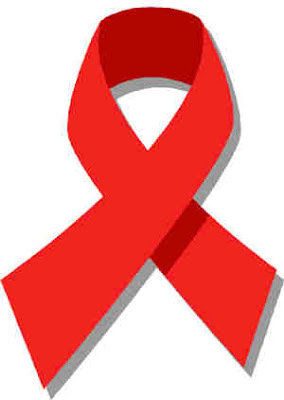 Here is the post I wrote last year on World AIDS Day. This year, I thought I would share something that has changed who I am as a person, and why I care just so much about bringing attention to AIDS, and to someday finding a cure. In 1990 or 1991 I had this wonderful female co-worker who would made each day better than the last. She was gorgeous, loved to smile, and had such an incredible presence that everyone wanted to be close to her. One of her traits that I enjoyed the most was her habit of grabbing someone who was having a bad day, and taking them outside to see a rainbow or sunset, or some other incredible act of nature. Over time I met her husband, and he had that same spirit of life. He was the musical director of a group that criss-crossed the US playing to crowds of 10 or 10,000. They were just happy playing music. You would have loved this couple. Everyone did. I became close to the couple and would often eat at their home or go to events with them. I honestly don't remember the circumstances when they told me they were HIV+, I just vividly remember a later encounter with the wife who told me how she had received the news she was HIV+. She had gone to get tested, and when she came back to the office to get the results she knew something was up. There were two people waiting for her in a room to deliver the news. She didn't remember anything they said after she heard the word positive. She didn't remember driving back home. She just remembers sitting in her garage, wondering if she should just end it all right then and save herself the shame (yes, there was still a great deal of shame and embarrassment then) and the pain, and just take her life, and get it over with. She sat there for what seemed like hours before some voice told her to get out of the car, and go inside the house. That everything would be all right. She never again thought of taking her own life. Within about six months of her notification, she met her husband. He was already HIV+. He never told me, and I never asked how he contracted the disease. By the time I met the couple, the husband already had full blown AIDS. At that time AIDS was all about AZT and T-Cell counts. The husband had so many medications that did so many things to his body. His life was controlled by those medications, but you would never know it by being with him. He was so full of life and cheer. Even though he was living with AIDS, he knew there were countless other people who had worse lives, and his goal was to make those people and their lives a little better and a little more hopeful. From his wife I would hear the stories of the night sweats so severe that sheets would often be changed two or three times a night. Uncontrollable shaking or the cough which would never go away. When the husband lost the sight in one of his eyes from AIDS, he laughed it off and said that was his bad eye anyway, and now he didn't need glasses. I remember the first time I saw him in the hospital. He had some really bad infection and everyone thought he was going to die. He just said it wasn't his time yet, and spent most of his efforts on cheering the people who came to visit him in the hospital. It was during this period that I became really ill. I was working 18 hours a day, 7 days a week, and my body finally quit. Who was there to take me to the hospital? Yep, he was. He was also the guy who snuck me in real food to eat, visited me everyday of the week I was in the hospital, and quizzed the doctors about every medication they were giving me and if they were really necessary. With all the medication he took daily, he was an expert. I think it was about three months after this, that he was forced to quit traveling with the group because it was just becoming too difficult. He tried to make up for it by recording what I think he knew would be his last album. In between more frequent hospital visits he would find whatever time he could to record. He wasn't a singer, just a musician. A great musician who could make you feel every emotion through his work. When you listen to that last album, you can feel every range of emotion a human is capable of feeling. He takes you on that final journey of joy, and pain, and hope right along with him. Within a week of the completion of the album, my friend passed away. His wife was much more fortunate. She is still alive today. For her, the drug cocktails came along soon enough to save her. After her husband died though, she didn't know there was a breakthrough in AIDS drugs on the horizon. She decided that if she was going to die, she was going to die on her own terms much as her husband had. She quit her job, sold everything she had, and decided to travel the world. She wanted to live life and she has. It has probably been close to five years or so since I have heard from her. I know she is alive though from mutual friends. When she finally realized she was going to be able to live with HIV, she decided that she needed to go back to also living a regular life. So, she lives a regular life, goes to work and to the mall. She goes out with friends, and does anything a normal person would do, with one caveat. The last time I spoke with her, she said that nothing could be truly normal because of that visit to the doctor's office so long ago. That feeling of a guaranteed death sentence never quite leaves you, and can never allow you to be completely normal again. I have one tattoo on my body, and it is a tribute to this couple, their bravery, and their love for others, despite this guaranteed death sentence. I loved them then, and I love them now.